News about new radios and associated equipment such as antenna tuners, microphones etc of all brands but also of Chinese radios. 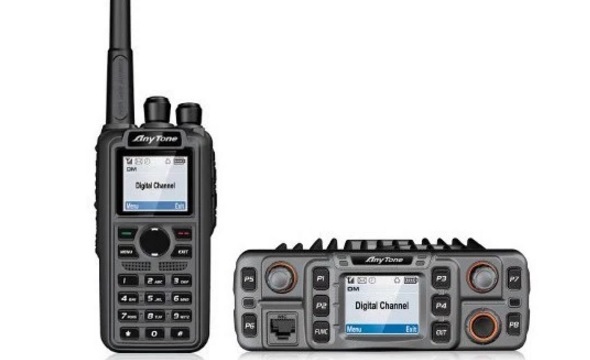 In particular the brands Wouxun, Baofeng, TYT and Anytone ect, who have recently released brand new radios. 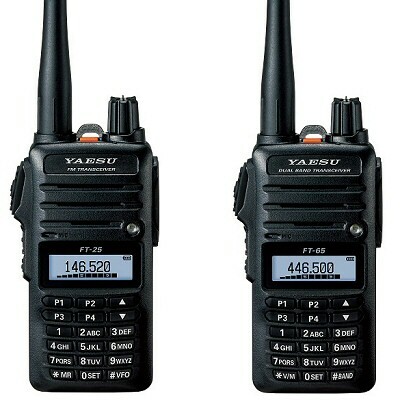 Januari 6 2019: Yaesu has announced a new High-Class HF / 50 / 70MHz Transceiver in 2018, the Yaesu FTdx101D High-Class HF / 50MHz / 70MHz 100W (D) & 200W (MP) Transceiver. Full SDR Technology and Waterfall Display and a Large Touch Panel precision Color Display. October 24 2017: The new FT-65R – VHF / UHF 2 meter / 70cm Dual Band FM handheld transceiver from Yaesu costs 99 Euro in the Netherlands, which is a good price. But if you want the software and cable for this radio you have to pay 59 Euro for that, which makes the radio more expensive compared to brands like Baofeng ect. To this date there is no CHIRP support available yet. April 16: New from China: Quanzhou Risen Electronics Co. Ltd recently released the RS-918SSB a QRP HF SDR Transceiver working all HF Ham Radio Bands, with a maximum output power of 15W, in SSB, CW, AM (RX only), FM and FreeDV. April 05: Three new radios BaoFeng Tech. February 22: Xiegu Pre Production X5105 shortwave portable radio by Fred VE3FAL. In the first video (January), unpacking and test indoor and the second video (February) an outdoor test. 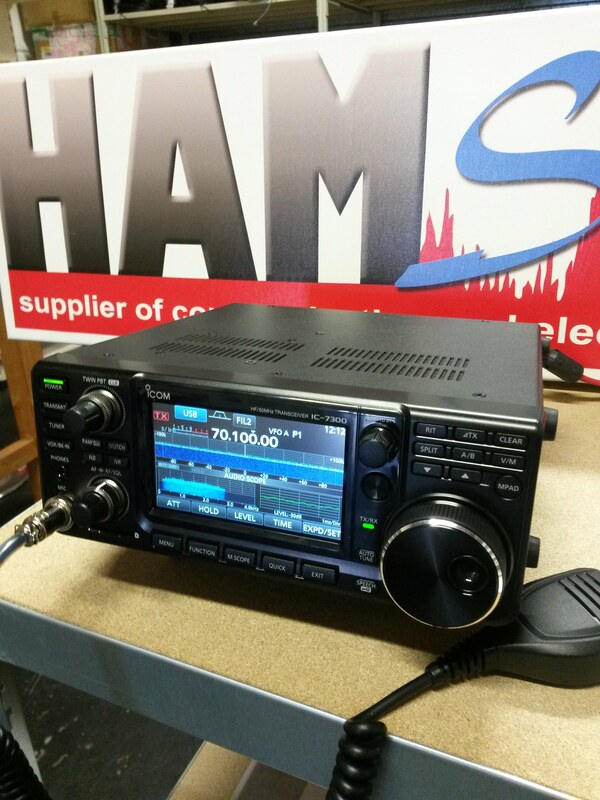 February 18: In March Icom launches a new moblile radio, the ID 4400A/E with D-Star and 50 watts power. The radio features a Full Dot Matrix D-STAR with Mobile Terminal & Access Point Mode. 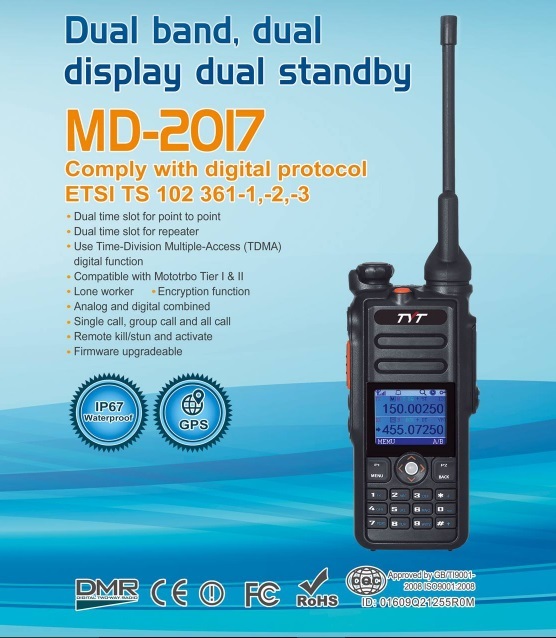 February 17: In November 2016 the HamRadioReviews showed a picture on their website which was taken at the PMR Expo November 2016 at the Kölnmesse (Cologne) in Germany of a TYT digital/analog handheld radio, the TYT MD-2017. Now there is more info about the radio and an better photo. February 12 2017: The QYT KT-8900D Dualband VHF/UHF radio is now available in the Netherlands at: PortofoonWeb for €149,00. 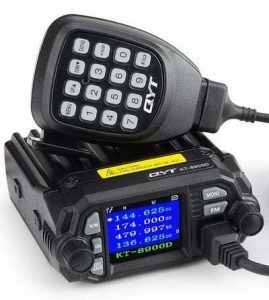 The QYT KT 8900D is the 2nd generation dual-band transceiver in the 8900 series of QYT. The transceiver is equipped with a Quad Watch function, you can monitor four channels. February 10 2017: Review – Connect Systems CS-580 DMR Tier II. U P D A T E: April 17, 2016 – Review from ‘Anton’s Funkperlen’ in the German language.